The Samsung Galaxy Note Edge, with its unique side display is now available in the US through most major carriers. 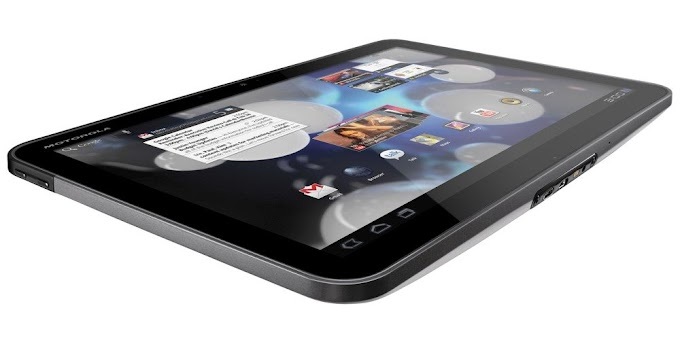 Unfortunately it comes at quite a cost, with prices starting at $399.99 on contract or a whopping $900 off-contract. 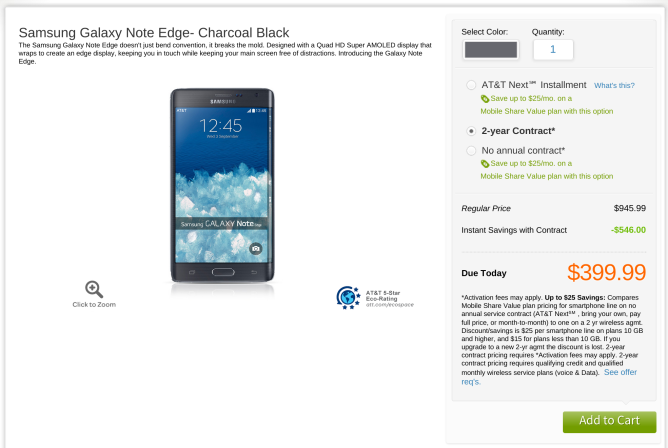 AT&T is offering the Galaxy Note Edge for $399.99 on contract, which is $100 more than the asking price of the Samsung Galaxy Note 4. If you choose the carrier's Next installment plans, you can get it on Next 12 at $47.30 per month for 20 months, Next 18 at $39.42 per month for 24 months or Next 24 at 31.54 per month for 30 months. If you want to get the device sans contract, be ready to plan out $945.99. Sprint is charging $429.99 for the Galaxy Note Edge with a two-year contract. But if you are getting it through the carrier's Easy Pay installments, it will cost you $35 per-month for 24 months with $0 down. That totals to $840, which is $100 lesser than what AT&T is asking. 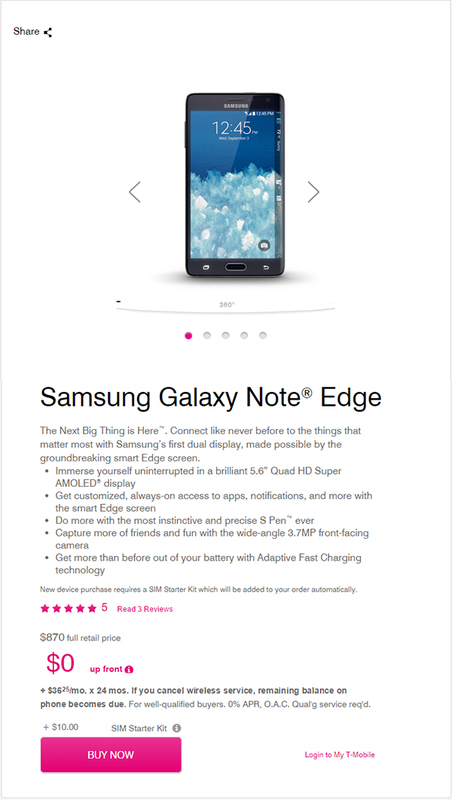 Since T-Mobile doesn't tie you down to a contract, you don't get a subsidized price from he un-carrier. 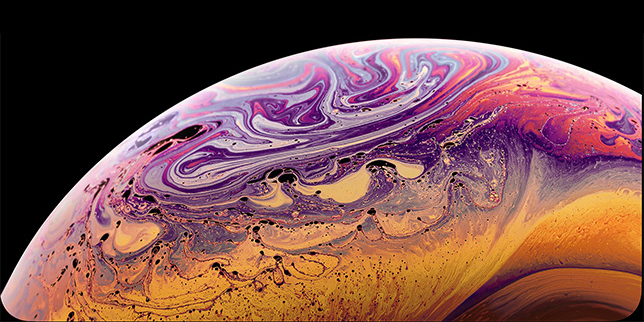 However you can get the device for $36.35 per month for 24 months, which totals to $870. The phone is also expected to be offered through Verizon Wireless and US Cellular, though it hasn't been offered by either carrier yet. However we expect the prices to be very similar to what the others are asking. 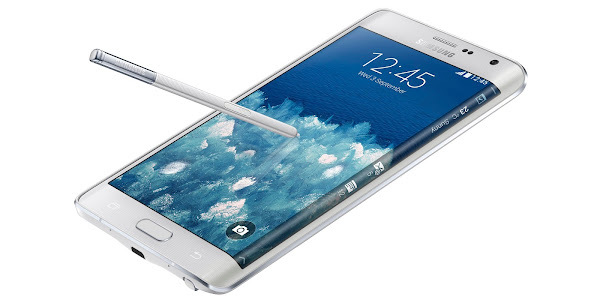 In terms of specs, the Galaxy Note Edge, is nearly identical to the Galaxy Note 4. Its specs include a 5.6 inch display with a 2560 x 1440 pixel resolution, 32GB of internal storage which can be expanded through microSD, a 16MP rear camera with optical image stabilization, a 3.7MP front camera with a wide viewing angle, a 3000mAh battery, and a 2.7GHz quad-core Snapdragon 805 processor with 3GB of RAM. If this is the phone you have been waiting for, you can purchase it right now by following one of the links below.